98 Auto Recyclers is a full service Auto Salvage Facility, proudly providing high quality new, used, recycled and aftermarket auto parts to the Brooksville, FL and surrounding areas for over forty years. Search for your parts online, stop in and see us or give us a call and we'll help you find the parts you need today! We offer comprehensive 90 Day Warranties on most auto parts bought from 98 Auto Recyclers. Our automotive inventory is extensive and diverse, carrying parts for all make and model vehicles. We ship parts directly to our customers using UPS, USPS, local delivery and freight services. The best parts at the best prices - guaranteed! Under new ownership since June of 2017, we are a family owned and operated 10-acre salvage facility with a vision of making every one of our customers automotive parts buying experiences easy, affordable and convenient. With our extensive inventory and online search tools, finding what you need is simple. Our salvage yard is as customer and environmentally friendly as possible, and we always go the extra mile to ensure that every one of our customers receives a positive experience. Customer satisfaction is, and always will be, our top priorty. We keep our diverse inventory constantly updated, with parts available from vehicles of all makes and models. 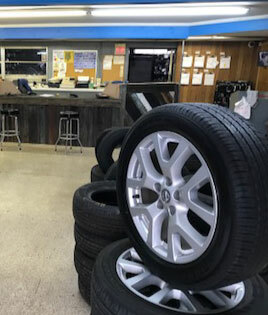 We clean and pull each part ourselves, so you can relax and have peace of mind that you'll be getting only the highest quality auto parts available. Vehicle purchasing - sell your vehicle today! Thank you for contacting us! If your message requires a response, we will call or email you within 2 business days.